I’ve been plugging along through Fall, made it through midterms alright, and then it hit me-Thanksgiving is next week. Usually I am 100% on top of Christmas but apparently I’m slipping this year. I don’t know why I didn’t realize it was so close, but it clicked in my head that Christmas is on its way, and I don’t even have my Christmas cards ordered yet. So yesterday I dragged the kids to the park, took some quick photos (they did not appreciate my efforts), edited them fast, made the card and got them ordered. I was blown away this morning when I got the email that they had already shipped. I will absolutely share them when they show up. Now that I’ve ordered the Christmas cards, I need some inks. I went searching through my bottles of ink and pulled out all the reds and greens I would possibly use on my cards. Last year I used Robert Oster Peppermint and Robert Oster Clay Red, and I think I might actually stick with those again this year. Check back next week to see some metallic inks I love for Christmas as well. 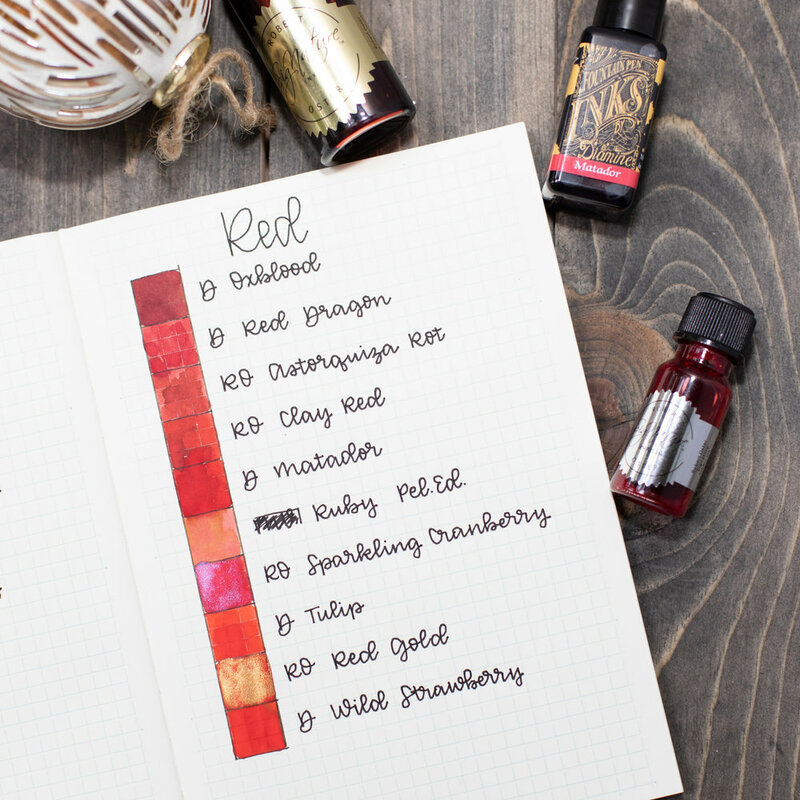 What inks are you using on your cards this year?